Even seasoned computer users get a shiver of fear over blue screen errors. They are well known for their cryptic messages and that they sometimes can be difficult to troubleshoot and repair. Fortunately, if you know which blue screen error you have, you have won the most difficult part of the battle. Now that you know that you have a 0x0000007E error, you can get down to the much easier task of fixing it. Check your hard drive for problems. This is a very common error when you have a problem with your hard drive. Launch My Computer from your Start Menu or by hitting the Windows and E keys at the same time. You want to take a look at your C: drive. If you don’t see a space (or capacity) gauge on this screen, right-click it and select Properties. It is a good idea to keep at least 10 percent of this drive empty, but you really shouldn’t run into trouble until you get close to capacity. 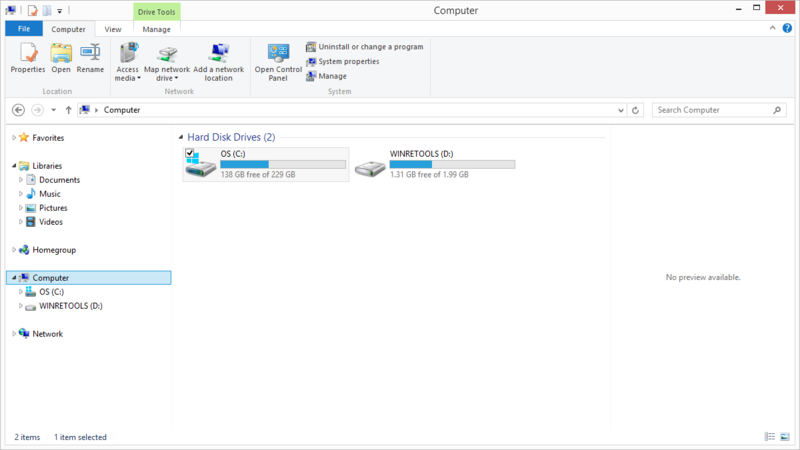 If your drive is almost full, go through and delete a few items to free some space for Windows. If your drive has plenty space, you should check to see if it is failing. HGST, Seagate, and Western Digital all offer tools to check your drive for errors. They will work on any drive, so you don’t necessarily need to choose the one that matches the brand of your drive. This will check your drive for serious issues that might mean it’s time for a replacement. Hitting Windows+R and typing cmd the hitting Enter will bring up a utility called Command Prompt. 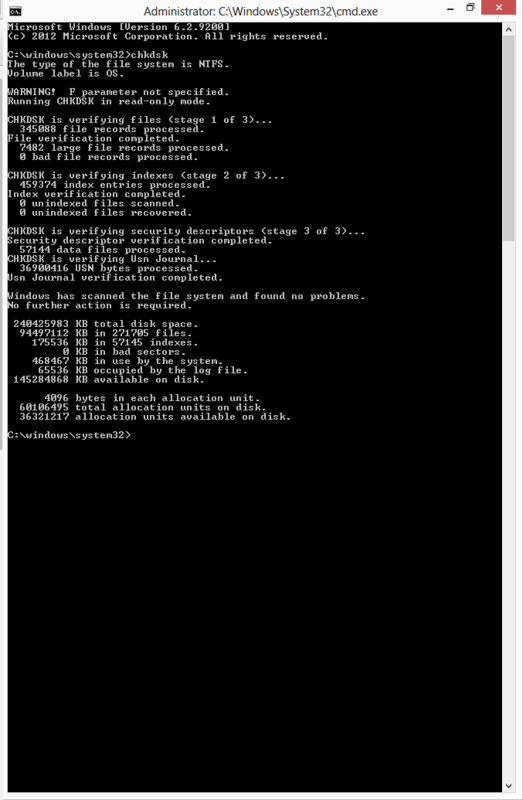 The command chkdsk tells Windows to check the data on your drive and attempt to fix any errors. Check the utilities that manage your hard drive. Outdated drivers can cause conflicts and could be behind almost any blue screen, and 0x0000007E is no exception. 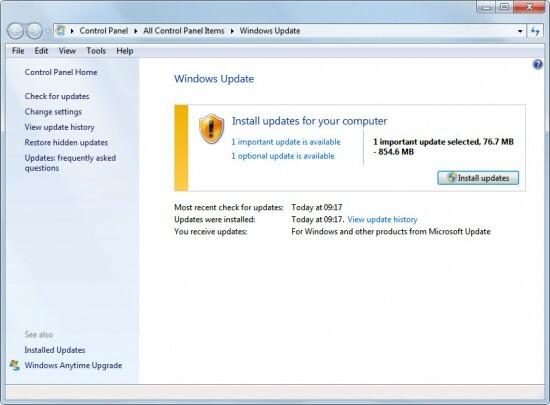 Start with running Windows updates. Drivers can sometimes be bundled with optional updates, so a quick check here is in order. However, your primary resource will be your hardware manufacturers. Microsoft doesn’t get every update added to Windows right away, so this is a good way to ensure you get everything. Of course, if you don’t want to go through all these sites, you can use a Driver update utility like Driver Reviver to not only check for Hard drive updates, but also ensure you don’t have other old or obsolete drivers still on your computer causing trouble. It is possible that a BIOS problem is causing this error. This is the first thing to run when your computer turns on, so if it has issues the rest of the computer doesn’t have much hope of working properly. This is not always the easiest procedure, so check with your hardware manufacturer for directions. As you can see, once you break down the options, the problem is not as intimidating as it might first appear. Going through each item in turn will allow you to find the cause of the 0x0000007E error and eliminate it. We’ve recently launched a free resource called the Blue Screen Helper, which will help you find out more about any Blue Screen Of Death. Simply enter the error code and find out more about the error and how to fix it.